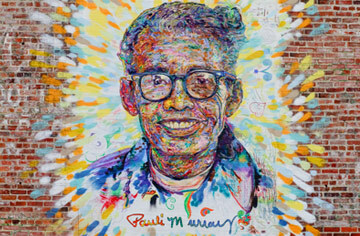 Welcome to the Pauli Murray Project's map documenting civil and human rights activism. You are invited to select a marker, on the map or in the full list, to learn more about our community's efforts to promote social justice and equality for everyone. Started in 2009, the map grows each year when students in Barbara Lau's Duke University course research, write, select photographs and narrate new markers. We see the map as a community resource for teachers, students, residents and anyone interested in social history. This effort is supported by the Pauli Murray Project at the Duke Human Rights Center/ Franklin Humanities Institute. For more information, visit www.paulimurrayproject.org.